Fall is here. It’s time for thinking about cooler weather, Thanksgiving, falling leaves – and taxes? With a new tax code in place, a few hours spent on your taxes now can produce benefits in April with the savings of both time and money. The following tips may be able to help you achieve those goals. Organize Your Files – Which documents do you need to file your taxes? Start with last year’s tax filing and see how many forms still apply. List all the additions that you may require and gather all the supporting documents that you need to back up itemized deductions. Don’t forget to include W-2 and 1099 forms for all sources of income, especially if any part of your income comes through freelance work. Other forms that may apply are a 1095 form to verify health care coverage purchased through the marketplace, 1098 forms for various forms of interest and tuition payments, and Schedule K-1s from any ownership interests that you have. Account for Changes – Make sure that any life changes that can affect your tax return are properly accounted for. For example, if you changed your name via marriage or divorce, you must notify the Social Security Administration and your employer of the change. Otherwise, your tax return may not match up with Social Security records, causing problems in processing your return. If you are using an Individual Taxpayer Identification Number (ITIN), check the expiration date so that you have time to reapply if necessary. In addition, unless you have a self-selected PIN from a prior year, you will need last year’s adjusted gross income (AGI) for ID purposes when filing electronically. If you don’t have last year’s form handy, retrieve it now from the IRS or your tax preparer to avoid last-minute panic. Review Deductions and Credits Now – Take a few minutes to review the available tax credits and deductions to see how many apply – and then make sure that you have the necessary paperwork (forms, receipts, etc.) to claim them. The Schedule A instructions for the past year make a good starting guide for deductions. The IRS made this early release draft of instructions available as a courtesy on October 9, 2018, and believe they have incorporated all the latest changes, but caution that there may be more changes due to unforeseen issues. Pay special attention to tax credits because they provide a dollar-for-dollar decrease in your tax bill (as opposed to tax deductions that only reduce your taxable income) and you do not have to itemize to claim them. Make Financial Adjustments – Now is a perfect time to check your withholding amount. Did your income change significantly throughout the year? A big bonus or a one-time income boost could leave you with a larger tax bill unless you adjust your W-4 to withhold more during the rest of the year. This is also the time of year to make other tax-saving moves, such as maxing out your contributions to all retirement accounts, making charitable contributions, and selling off losing investments to offset any investment gains. We know it’s hard to get motivated to think about taxes at this time of year. 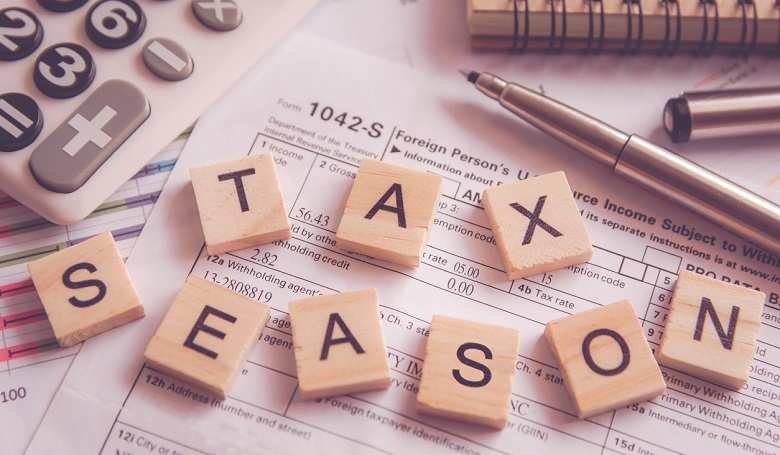 Just remind yourself how grateful you will be in April that you took these steps in advance, enjoying a smoother filing and a lower tax bill – or maybe even a larger refund. Don’t give identity thieves the chance to file a fraudulent tax return in your name.